Sheriff Joe Arpaio isn’t having a good year. After losing his re-election in Maricopa County, Arizona in November of 2016, and after learning that he would be standing trial for criminal contempt charges related to his racist actions as sheriff, Arpaio has just lost his representation as his attorney resigned from the case amid ethics concerns. Attorney Mel McDonald filed paperwork with the court this week saying that his resignation is “mandatory” under ethical grounds. Unfortunately, there aren’t many more details than that. Arpaio faces charges for criminal contempt, charges he gained by refusing to respect a court order involving his leadership at the Maricopa police department. Arpaio’s loss of his representation so shortly before trial is not a good sign for the former Sheriff, and he will have to scramble to find someone else willing to represent him and his bad reputation. Arpaio became infamous for being strongly anti-immigrant – criminally so. As Sheriff, Arpaio led a profiling sting in his county, requiring officers to racially profile drivers in the hopes of arresting undocumented immigrants. Arpaio was ordered to cease his profiling practices by a judge in 2011, but he failed to do so. Now, Arpaio faces up to six months in jail for defying the courts, and without proper representation, he seems destined to see the inside of a cell for as long as his crime will allow. 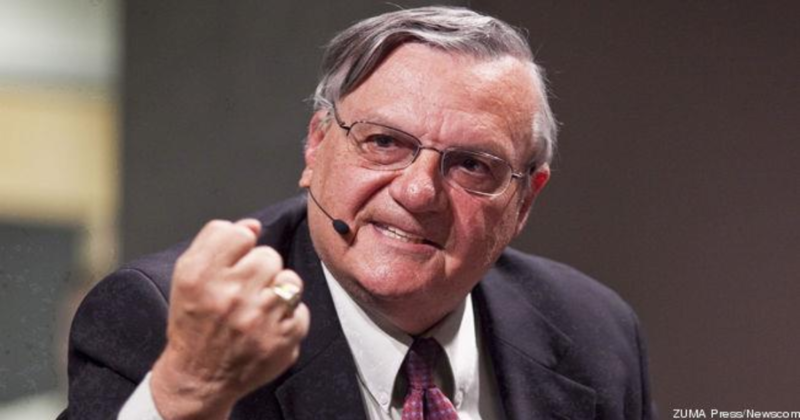 Unfortunately, whether Arpaio wins or loses his trial, the taxpayers are the real losers. Arpaio will pay as much as $72 million in legal fees – all paid for by the taxpayers of the county. Arpaio’s team has tried for weeks to get his trial postponed in the wake of the attorney’s resignation, but so far, their requests have been denied.